Earn $1.91 in Rewards credit (191 points) What's This? If you're looking to keep your fitness year 'round rather than race yourself into shape at the beginning of the season every year, the Louis Garneau Men's Optimum Mat Tights are for you. The dedicated cyclists who keep their activity level high year round don't let the elements keep them from their workout, whether that means riding in fall showers, or cross-training and going for a run when the roads aren't clear. This ultra-versatile garment meets the needs of a number of sports activities and makes an ideal warmer over bike shorts. The Optimum Mat Tights have been updated with numerous reflectors, ventilated panels at the back of the knees and discreet pockets that allow you to carry your essentials as you head out for your run. 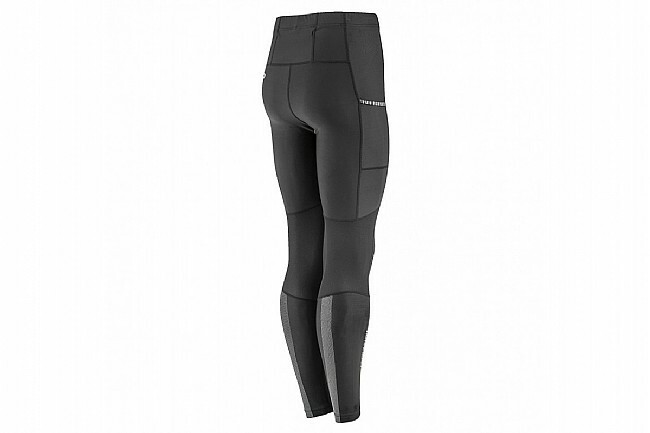 Padless tights find use on runs in colder months. Blend of lightweight, breathable, and insulating fabrics balance comfort and performance. Mesh inserts behind knee increase breathability and comfort. HiViz360 reflective accents improve low-light visibility. I purchased these tights to keep the cold at bay and they live up to challenge. Ive used them in the mid to upper 30s and didnt feel miserable. They seem to have good durability and the reflective accents are a bonus. They do run a little tight, Im 58 with 30 inch waist and ordered a small. The length is perfect but they are on the edge where Id almost go with a medium. I use this tight over my bike shorts. Advertised as a cold weather tight with insulation, I found this to be untrue, and best use in 45 degree weather. No insulating properties with this tight. 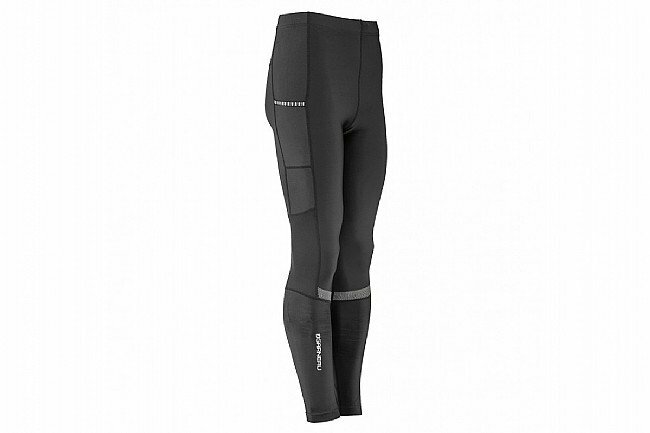 I use these for cooler weather riding, they're not insulated or lined so they're not really great for cold weather unless you use a base layer underneath. But they meet the needs for what I purchased them for. I'm a little on the chunky side and these pants fit great unlike most bike pants are way too tight these ones did the trick. I always wear it fore those colder days. Fits just right , not too tight or too loose. The reflective pieces are also nice. Yes I would buy these tights again. I wear them under my normal shorts. I bought these for cool weather FallSpring rides. They have been just right for me for temps down to the low 40's, really comfortable, and the stretch is just right. The stretchy mesh around the knees works really well. I really like the reflective accents which make me more visible at night. I am a slender 6'-0 with a 32 waist and normally wear a medium, but Garneau's size chart lists a small for 32. I tried them but they were too tight, so I opted for a medium which was just right. They really work well over a regular pair of bike shorts. I have ridden about 500 miles in them and they show no signs of wear in the seat area, so they seem like a very good piece of gear.